Vintage IBM Quietwriter Printer Guide to Operations-Manual 5201 -Sale & help comments reviews. 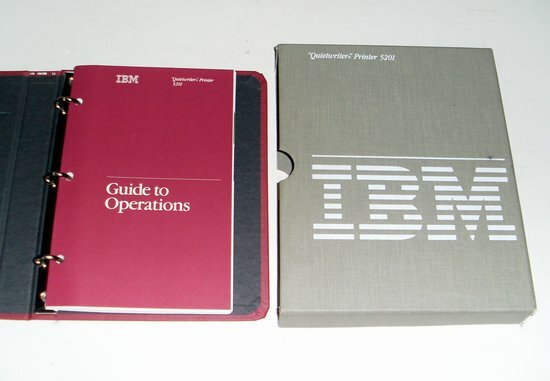 Vintage Manual-Guide to Operations for the IBM Printer Quietwriter 5201. NOTICE: This Pre-Owned-Recycled vintage ibm quietwriter printer guide to operations-manual 5201 was described to the best of our knowledge and it is offered as-is. If the field -Items in Stock- shows zero, the product is no longer available.